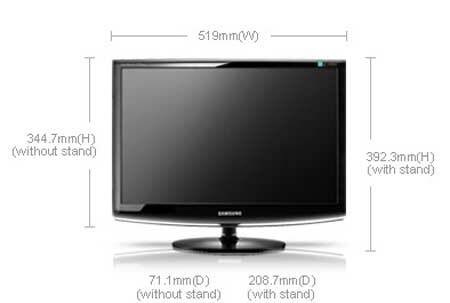 Samsung 2233SW 22"(21.5") 1920x1080 FullHD 16:9 เช่นกัน ราคา น่าจะ 5500 มั้ง? Last edited by Snake; 5 Apr 2009 at 13:58:57. Last edited by ZeeDZAAZ; 5 Apr 2009 at 20:27:42. All times are GMT +7. The time now is 02:58:59.